Nowadays, most smartphone brands tend to use the same fundamental design for up to two generations. Apple, however, has previously deployed the same design four years running. And according to one tipster, history could be about to repeat itself. After introducing its all-screen iPhone X in 2017, Apple chose to extend this design to its entire lineup in 2018. And now, as previously rumored, tipster Ice Universe claims Apple will retain the same front panel design with its 2019 series. Thus, Apple’s trademark notch – which has since spread across the entire smartphone industry – is here to stay for at least another year. In order to differentiate the 2019 series from the current-gen iPhone XS smartphones, a leak yesterday revealed that Apple is currently toying with the idea of a triple-camera setup contained within a rather odd-looking square camera module. In addition to this, there’s a slight possibility that Apple may choose to move the in-ear speaker grill upwards. This should allow for a significantly smaller notch. 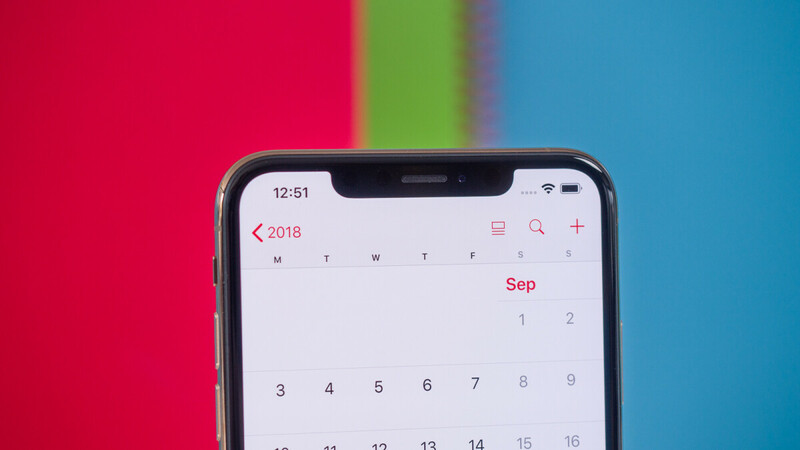 Looking towards the 2020 iPhone lineup, many expected Apple to skip the new hole-in-display technology in favor of under-display implementations – this would allow for a totally bezel-less panel. But according to the same tipster, this won’t be the case. In actuality, it seems the Cupertino giant has plans to adopt the technology next year, despite the fact that it’ll be almost two years old by then. As per usual, it’s worth noting that both the 2019 and 2020 iPhones are still quite far down the line. Because of this, many of these details could change by the time of release. In fact, with Apple seeing poor performance in emerging markets such as China, the brand could choose to release a completely different design. However, with Apple’s track record, this seems highly unlikely. "Nowadays, most smartphone brands tend to use the same fundamental design for up to two generations. Apple, however, has previously deployed the same design four years running" Exactly and people say Samsungs look boring/outdated and they get slated for it more. Yeah i think we all knew they would stick with the same design for 4yrs as previously done with the last model. The display is going to extend around the front facing cameras until someone finds a way to put it above it, because Face ID is here to stay. Dear Joshua, a notch is something that cuts into something; in the iPhone the display has extensions. Was Tim said take new design toward next decade when he announced iphone X? So tired of the immaturity in the comments. I don’t see how many of you get through life. not buying the same design period two they take more than they add, and last tired of the price yet not much of a change. the only iphone11 I wanna see is the body from the new ipad pro the bends... also another apple fail, how tf is bending normal no no no that can lead to hard wear issues as well just simply over it. strengthen the material notch or no not make the notch smaller then!